QuickBooks has proven to be a useful invention in the discipline of accounting and bookkeeping, especially for incumbents and small businesses. Despite the market being flooded by many similar accounting software, such as Xero, Wave, FreshBooks etc., QuickBooks has taken the lead by transcending the competition. It has been the most favorable among small business owners. It’s several versions are catering to multiple business needs that other competing software lack to date. Its transcendence in the market for serving small businesses are attributed to the following reasons. QuickBooks is available in different versions allowing for greater diversity in serving small businesses. Small business owners can choose from an array of versions depending on their unique business needs and specifications. For instance, QuickBooks Pro, QuickBooks Online Plus, QuickBooks Mac, QuickBooks Hosting, QuickBooks Premier Hosting and the sort. Each one comes with a unique set of features to enable businesses to choose the one that fits best with their business needs. The various versions may be purchased according to one’s budget as well, allowing for even more flexibility. Hence, QuickBooks leads the competition through flexibility in pricing and features. Another reason for this market transcendence is the user friendly interface that it comes with, allowing for easy access and use within the business. Employees working on a legacy system are generally more resistant to change. Traditional bookkeeping has been popularly replaced by accounting software which may be a source of intimidation for employees at work. However, QuickBooks helps with the initial phase of using the software step-by-step and also extends the option to seek professional help, if need be. QuickBooks offers a compatible interface that may be integrated with multiple vertical market applications easily and without much trouble. This superior compatibility helps with aligning and streamlining every single process within the organization and allows for savings in terms of cost, time and effort. Automation sounds like a brilliant idea when it comes to accounting, but automation to this extent is no less than a miracle for small businesses. In addition to the above reasons, QuickBooks has been successfully outperforming the competition due to its ability to customize almost everything related to accounting and bookkeeping. One can customize a chart of accounts to their specific business needs, customize invoices, sale receipts, and estimates. You name it and QuickBooks has it covered! It sure is a one-stop solution for all your tedious accounting hustles. 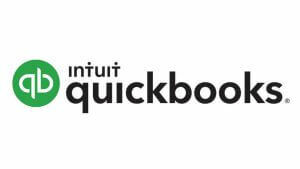 QuickBooks has been an innovation in the market to help serve small business needs related to complicated and enervating accounting procedures and activities. Not only has it provided a complete and sorted package for A to Z accounting but it has helped with simplifying complex spreadsheets, returns filling, reconciling, invoicing, and financial reporting tasks throughout organizations, especially for small businesses. QuickBooks has also taken over full responsibility for performing all of the accounting tasks with the provision of its various features. It manages cash flows, invoicing, billing, receivables and payables, employee performance, bank transactions, check printing, online banking, emails, payroll as well as financial reporting. Other features include access to its online version from any and all internet-enabled devices. This is particularly useful for small businesses that are operated remotely. Another one of the many reasons why QuickBooks has led the market competition is the streamlining and automation that it has facilitated for small businesses. With its use, business owners have been empowered as they can now track each and every business transaction and workflow hassle-free and in a seamless manner. This has enabled a transparent work environment for small business owners. Therefore, based on the numerous reasons identified above, QuickBooks has remained victorious in establishing a position for itself in the market – a position that transcends that of any competitor serving small businesses.